An interesting project to dry a pipeline, 1.386 km long from East to West India, resulting from the collaboration with the worldwide active BJ Services in 2007. A new fleet of 8 Vacuum Systems in 20 ft containers with total 22.400 m3/h capacity and 0.05 mbar(a) vacuum level for Dew Point of -48°C. The final stage of preparation for a pipeline to be used for gas or oil, requires the drying. The relative humidity (RH) value in the pipe shall be below 20% to avoid corrosion. 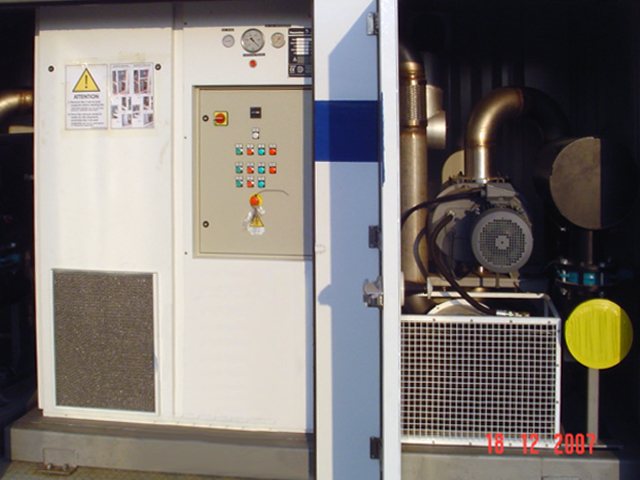 Rather than super dry compressed air, or methanol, or another inert gas such as nitrogen, this project used a double stage vacuum system. The backing pumps are mod. UV16 H, able to evacuate water moisture. 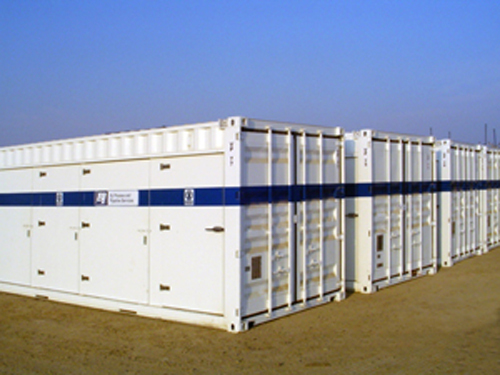 The UV pumps, being air cooled, were installed easily in four containers, each one with 2 x UV16 H combined with roots booster. 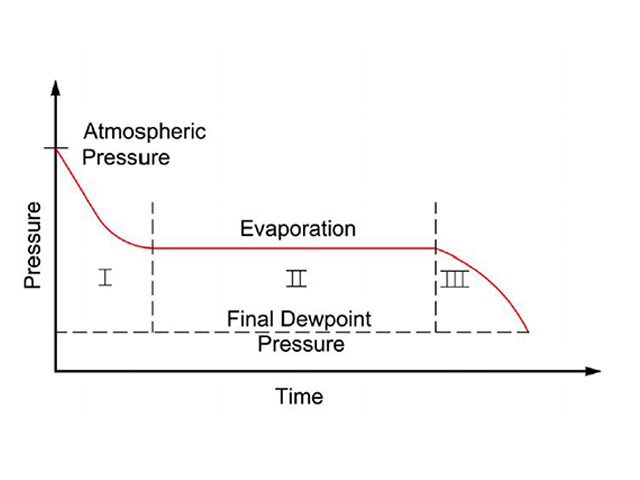 The evacuation curve is shown on the right with 3 phases: the first to reduce the pressure from atmosphere down to the evaporation value, then comes the time segment where all water turns into vapor and finally, in phase 3 occurs the evacuation of all water vapor. In this case, the second stage of the vacuum system reduced the extraction time. The project was managed as team work among various engineering offices, a collaboration of engineers based in Australia, Dubai, Italy, USA and India. 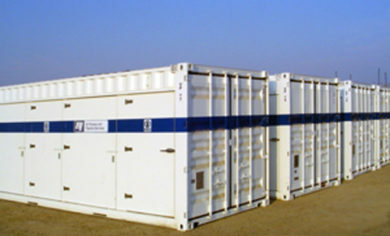 The benefits of this vacuum drying solution are evident, as the containers can be easily moved, do only need electrical power supply by means of a generator, no cooling water circuits, no high investment costs as happens for large dry compressors combined with various dryers, no high operating costs due to the low power requirements. Also size and weight influence the easy handling of these ready-to-use containers. The control panels of the UV pumps were modified so that the units operate automatically, also regarding the delicate step when the root boosters start working. Climatic circumstances in countries like UAE or India tend to be a challenge for air cooled industrial machinery. Exactly because water is rare and precious in such areas, the air cooling represents a huge advantage. 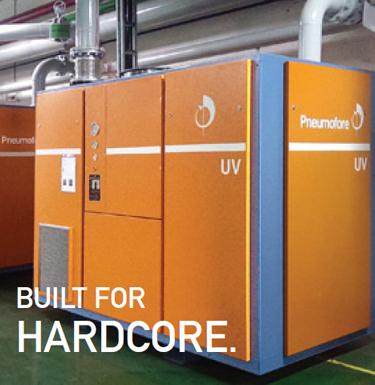 Pneumofore is experienced if not specialized in the air cooling, also at very high ambient temperature. 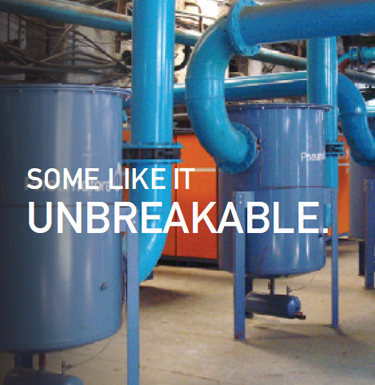 The UV H pumps themselves operate maintaining the evacuated media always in steam condition, so that all water moisture entering the pumps as vapor is emitted after the evacuation process as vapor again, without creating the dangerous oil-water emulsion. 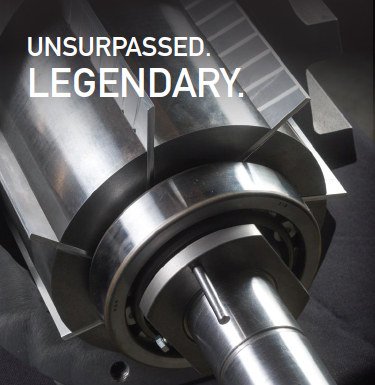 Further criteria are the low rotation speed of 1.450 rpm, the simplicity of the rotary vane technology and the competence of our engineering team to design and manufacture very reliable equipment. This project with BJ Services followed other installations of UV H pumps for pipe drying with Gazprom in Russia, where single stage, air cooled UV50 H pumps operate. BJ Services also reported of this project, read here.